The NFU has singled out three EU laws which should be ditched or significantly amended after Brexit in its latest report on regulation. The paper, A Regulatory Regime That Is Fit For Purpose, identified the Nitrates Directive, the Authorisation of Plant Protection Products regulation and the ‘Three Crop Rule’ as the pieces of EU legislation in most desperate need of reform. The UK’s gold plating of European rules on electronic identification of livestock, which required all readings of sheep tags to be 100 per cent correct, was also highlighted as unfair given other member states’ more relaxed interpretation of the law. The report made clear Brexit offered opportunities for the UK to slash unnecessary red tape, which costs farmers an average of £5,500 to comply with, but also set out some of the regulatory challenges associated with leaving the EU. 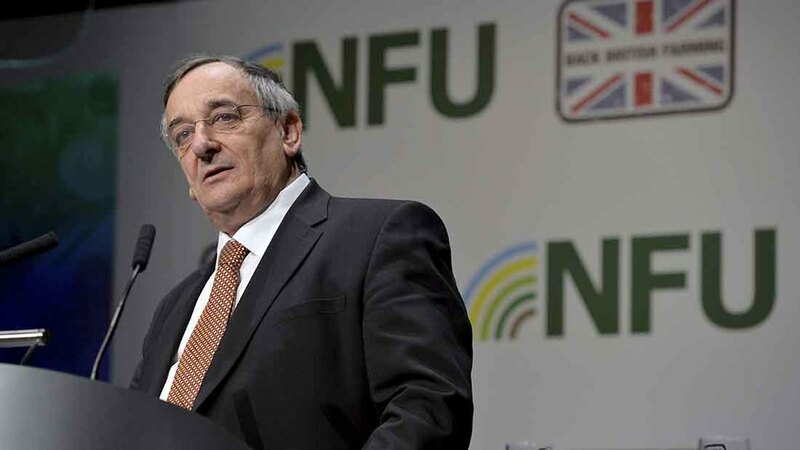 NFU president Meurig Raymond said: “Farmers recognise regulation is a part of farming like any other business, but they are often left frustrated with rules which do not always make practical sense on farm. As the Government prepares to bring EU law back to the UK through the EU Withdrawal Bill – formerly known as the Great Repeal Bill – and the Agriculture Bill, the NFU has been busy developing its own proposals on how to amend the most burdensome rules. It has called on Ministers writing new laws to consider realistic farm practices; give due weight to science; better recognise the expense of complying with rules and ensure any future regulatory action takes into account the size of affected businesses. Other recommendations include introducing a system of ‘earned recognition’ with regard to inspections, meaning farmers who are members of assurance schemes could have their good practice automatically acknowledged. The union has also demanded the Government share information about any changes to rules as part of a ‘practical demonstration of transparency’, and said all amendments to existing law must be subjected to proper scrutiny in parliament, with select committees examining secondary legislation such as Statutory Instruments. NFU Cymru president Stephen James said: “Poor regulation is a cause of significant frustration amongst our membership; it also emerged as a distinct theme in discussions that NFU Cymru held with its members.